2019/20 booking for HamCam is now open - free bus pass included with early deals! Hamcam student accommodation in Birmingham. 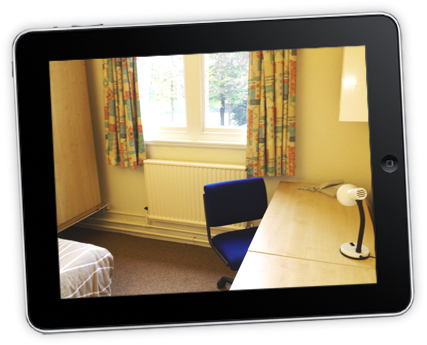 On campus Studios are a perfect economical option for couples wishing to live together while at university or for single people wanting a little more space and privacy. Two person flats are ideal for close friends that want a privacy/company balance. Sharing kitchen and bathroom facilities between just two people should lead to a few less arguments too! Ideally suited as Aston University student accommodation for sharers. 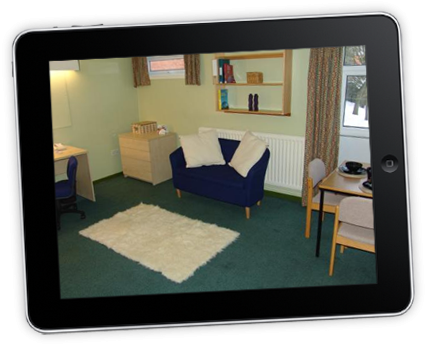 5 person flats include 3/4 beds so you can spread out when lying in! 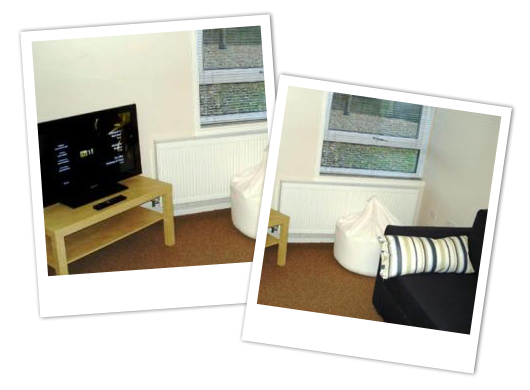 We have also added a living room with flat screen TV so you have some space to chill out with friends. 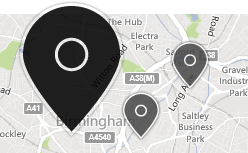 Ideally suited as BCU & Aston student accommodation for mates sharing. Hamstead Hall is a grade II listed building which dates back to the 1880s, with a chapel to the rear there are some stunning views around this old building. Inside the Hall however is a different story. All kitchens and bathrooms are cleaned daily by our on-site team of cleaners. All you have to do is your dishes! 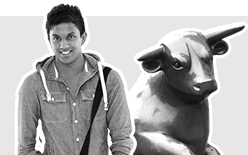 High quality cheap student accommodation in Birmingham. HamCam is now open for 2019/20 bookings. We take your privacy seriously. Please see our Privacy Notice or email data@evenbrook.co.uk for more information on how we manage your personal data. HamCam is a thriving 660 strong private student village in Birmingham. 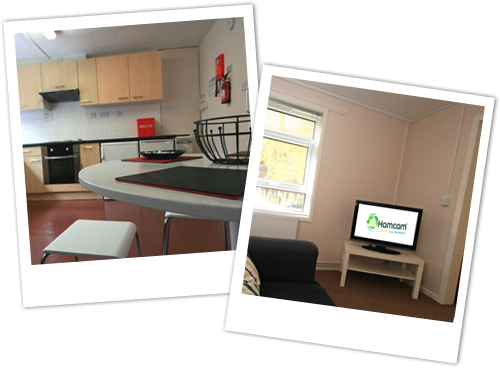 HamCam offers great value Birmingham student accommodation in a large private gated student village community especially suited as Birmingham City University student accommodation and Aston University student accommodation.